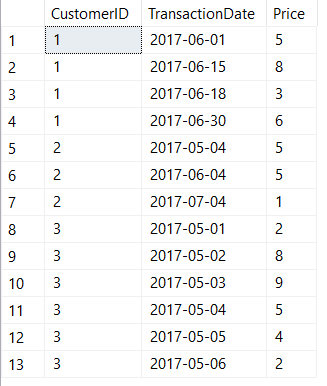 Historically it’s been difficult to accomplish certain tasks in SQL Server. Probably the most annoying problem I had to do regularly before SQL Server 2012 was to generate a running total. 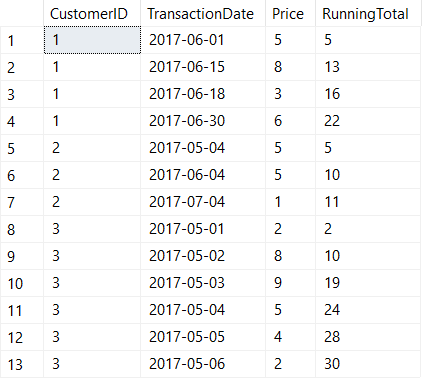 How can a running total be so easy to do in Excel, but difficult to do in SQL? SUM(), click, drag, done. Excel, you will always have a place in my heart. Before SQL Server 2012, the solution to generating a running total involved cursors, CTEs, nested subqueries, or cross applies. This StackOverflow thread has a variety of solutions if you need to solve this problem in an older version of SQL Server. However, SQL Server 2012’s introduction of window functions makes creating a running total incredibly easy.